Often I hear about how companies view their human resources. That they are the most important asset in the business and without them, success wouldn’t happen. But when you dig deeper and look at the amount of investment (re: training) made on their people, the opposite seems true. And I can understand that through my interactions with the group of HR Directors from hotels in Bangkok a few months ago. With high attrition rate, they could barely keep up with hiring let alone train them. Everyday becomes a struggle between the completion of proper training and deploying the individual into operations. Which causes one to fanthom – what can be done better to bridge this gap? ArcLab appears to have a solution. I speak with Co-Founder and CEO James Chia to learn more. I’m CEO of ArcLab, a Nano Learning SaaS platform. Our tool helps organisations create effective training for employees. Before ArcLab, I co-founded a game-based learning firm; it’s passive now but the learning games we created are still being used by schools globally via Finland edtech platform TeacherGaming. Previously I was in public service on the Monetary Authority of Singapore’s Reserve Management team, serving as Portfolio Manager out of London and Singapore. We helped generate investment returns that supplement Singapore’s Fiscal Budget to better Singaporeans’ lives. As innovation quickens and our attention spans shorten, the need for continuous education and training to stay relevant is more urgent than ever. So our goal became to help everyone improve our human capital. But what was the best way to do this? Become a training provider to individual knowledge seekers? Help trainers? Work through companies? There were many questions to answer. We spoke to individuals, trainers, companies, policy makers that we knew. I think we had at least 50 conversations in 2 months. Training was important, but individuals find it hard to commit time and funds. Companies find that training made staff spend too much time away, reducing productive time and topline. Trainees find it hard to pay attention for extended periods. They were also on their phones most of the time. Refreshing training content can be expensive and time-consuming for companies. We saw scope to use good design and tech to help organisations solve these common problems. We distilled our learnings to build ArcLab – an easy-to-use web platform for creating bite-sized training. In this way we help everyone improve our human capital. Given point 1, we chosen to begin ArcLab’s journey by working with our employers. So we’re primarily a B2B product. 3. How would you describe ArcLab? ArcLab is a Nano Learning platform that helps organisations create effective training to improve employee job performance. In essence, ArcLab is “Powerpoint for mobile learning” – Organisations use our tool to easily create and deliver targeted bite-sized training modules to staff on-demand, through their mobile devices. We are content and industry agnostic; most organisations use ArcLab to create training for rank-and-file employees. See uses cases at our Showcase. ArcLab’s platform provides intuitive Nano Learning module templates for different training areas which organisations use to create the required training content. The ArcLab platform also provides assessment modules, NanoCredentials (digital badges) and learner analytics to guide future training. Organisations use ArcLab alongside HRMS/LMS that they already use. There’s no software installation or integration needed. No coding, no fuss. So we work together to lower organisations’ costs to create training, reduces time employees spend away from work, and provides data on employees’ learnings and possible training gaps. We’re working on much more. e.g. gleaning insight from platform data to set the foundations for possible AI-assisted content creation and other areas that aid employee capability development. We’ll share more as we progress. 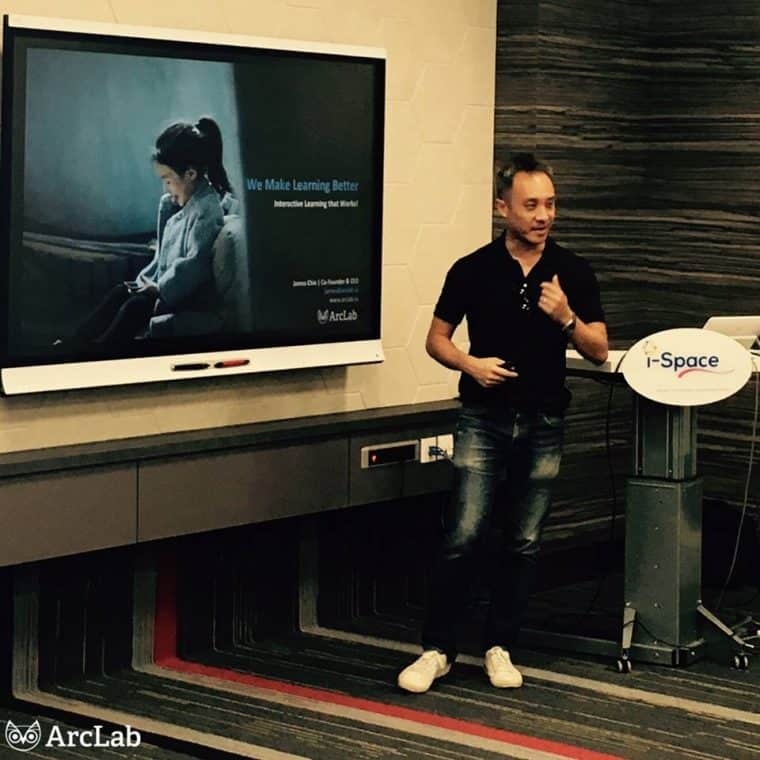 ArcLab is funded by our main shareholders Tinkertanker (a leading education & technology company) and I.
ArcLab is also supported by Amazon, part of AWS’ pioneer cohort of Asia-Pacific EdStart startups. We were recently approached for a possible funding round. Several companies do good work in Learning & Development tech, particularly in mobile/micro/nano learning. I find our biggest ‘competition’ is inertia. Especially in a corporate environment, it’s often easier to stay with the status quo and “do what has always been done”. So a part of my work is helping our users to make the case internally to become buyers. We help our users identify critical training that need to be delivered to employees, which our platform can help them create and train at scale. We’re starting to work with our Advisory Board members Profs Karin & Kenneth to measure the ROI of Nano Learning efforts so it helps companies’ HR and L&D departments to quantify the benefits. This helps them make the case internally and crystallise how the L&D piece we’re helping organisations with fits into a comprehensive employee management framework – and improve company bottom line. Sometimes the ‘competition’ is also a lack of L&D manpower/expertise to create the Nano Learning using our platform. So we started an Instructional Design service that Carolynne helms, to help these organisations get started; primarily smaller firms. Basically we do anything that helps maker users’ buying decisions easier. We value each of our users whether large organisations with dedicated HR/OD/L&D, or small training firms using our platform to create Nano Learning. One firm is The Lo & Behold Group (TLBG). When Merle first joined TLBG as Chief Talent Officer, she spent time to build up a thoughtful HR framework all the way from talent attraction to onboarding, training curriculum, organisation development etc. I’m impressed at how holistically Merle and her TLBG HR/OD team frame everything they’re doing into a coherent roadmap that helps them build and empower employees to meet organisational goals. We had many conversations over several months – Merle was looking into “snackable” courses and the Nano Learning platform we were building had a fit. I’ll always be grateful they had faith in us when we moved beyond MVP and launched our first commercial version. We continue to get feedback from Merle and team to improve. In these early days, Paul Graham’s “do things that don’t scale” is most applicable. We’re slowly getting better market sensing, who are potentially good multipliers etc. that can fit well into our distribution e.g. 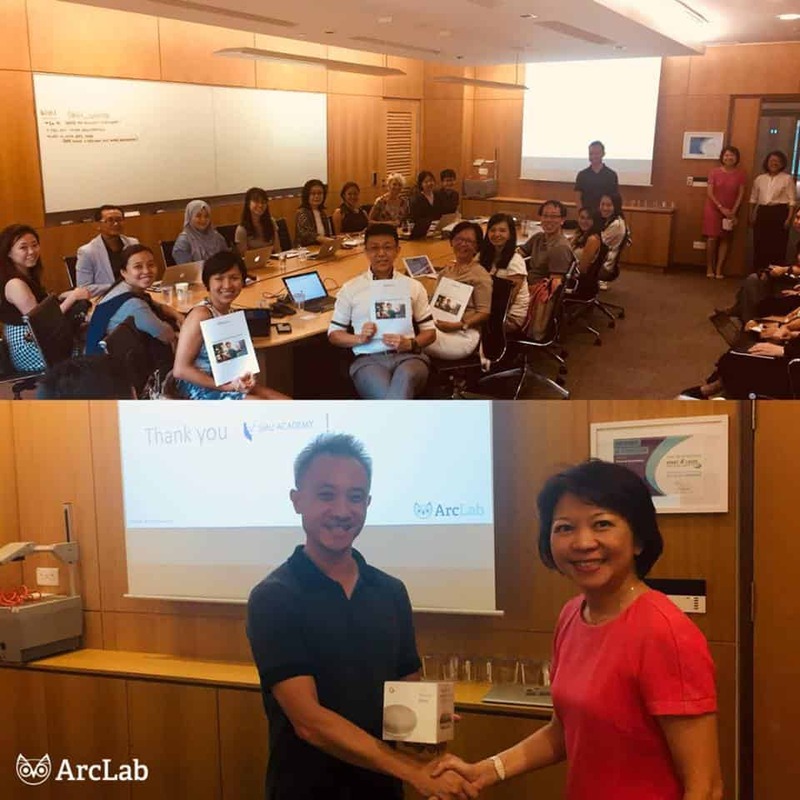 We work with Singapore Polytechnic Business School who’s the HR Sector Lead for Polytechnics and ITEs, tapping into their relationships with the HR community (SP themselves are a user of ArcLab). We inked a partnership with a hiring platform to automate job seeker training – we’ll announce formally after our platforms’ integration is complete. But inbound is crucial for a SaaS business. I am not a trained marketer so am blessed to have on our Advisory Board – Sam who’s formerly DeVries Global Strategist, and I’m learning from her extensive product marketing experience. So far we’ve done the simple bits – SEO, making sure collateral is always on-message etc, and using ArcLab-created content as much as possible in our comms. But we’re getting more structured this year to help us grow, eg. tapping into aggregation platforms & their audiences (it’s win-win as in return we provide solutions to their audience). Getting users to use (and continue using) our platform is positive and validates our product value proposition. Sharing our earliest product iteration at a [email protected] event last year. I only had an MVP but we really upped the energy level in the room, there were tons of questions and 3 marvellous ladies (incl. Bella, an experienced sales professional and Hwee Ling, my former MAS HR Executive Director) joined ArcLab to help build the business. Getting Tinkertanker onboard to invest in and work on ArcLab together – their business was (and still is!) thriving, yet they saw and bought into the vision, commiting Steven as ArcLab CTO (I’m learning lots from him), financing, and resources to develop the platform. That’s why before even building our Nano Learning MVP we spoke to those 50 companies first. And it’s not fire-and-forget; we need to CONTINUE to validate that our product is solving user problems, and how we can deliver it with positive unit economics for us. If we don’t keeping getting this, we should just all stop work and not waste time and resource. There were positives out of the 1st venture too, like good parts of game-based learning which heightens learning engagement and effectiveness, some of which I’m infusing into ArcLab’s product design. I also wasn’t good enough a communicator with my 1st venture’s tech team, partly because I couldn’t code then so I didn’t understand their work and stresses enough. I’ve since made sure to learn as much programming as I could to make up for this inadequacy. I have no ambition to be a developer since we have Steven leading ArcLab’s tech (having held senior software engineering roles at Paypal before). But I figure I need a working knowledge of code to be a better product manager. So I learnt as much as I could. My 2 biggest hobbies are reading and football. 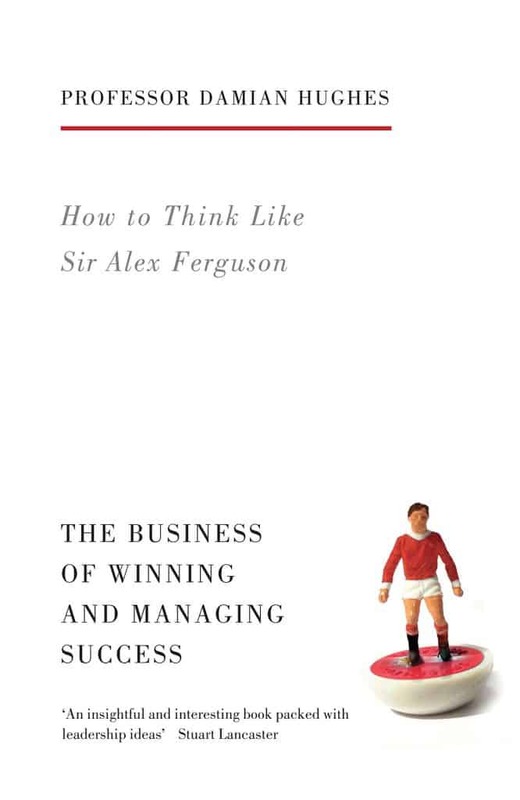 So it’s apt that a good book I read last year is “How to think like Sir Alex Ferguson” by Damian Hughes, even though I’m not a Man U fan (I’ve supported Tottenham for 24 years). Key learnings: how to build a team and bring the best out of them, and balancing the strategic vision with tactical nous. Pretty applicable to running a business. Another good read: “The Airbnb story” by Leigh Gallagher. More aspirational than anything (I’m an idealist who roots for the underdog…[read: Tottenham fan]), but the description of Airbnb’s early days’ where the founders “did the things that didn’t scale” – like taking professional listing photos for their first users so they were more attractive to would-be-renters. Great lesson – which is why we spend so much time with ArcLab’s early users. I also like reading anthropology books and Mark Twain. He espouses creativity, wit and clarity of thought. Professionally – focusing less on changing mindset but more on changing behaviour. Change is scary for most, so I’m finding it more productive to focus on making it easy for our users to take incremental actions (which over time add up and effects the change we want). Still WIP but beats coming in all confrontational, using words like “we’re going to disrupt, change how you do things”. Personally – doing my best to be in the moment when I’m with the family. I’m blessed with 2 girls, and a missus who supports what I am doing (I’d left MAS to be a stay-at-home father when my youngest was born, so as to be present in their foundation years). I’m also running a lot more because I don’t want to be unable to keep up with the kids. Right now I’m probably fitter than I’ve ever been, at least since National Service (I was much younger then =). I have zero short-term memory (as my missus knows only too well), so am hopelessly reliant on my Google calendar and iPhone to-do list. Furthermore, there’s a lot I want to do in the firm, but I don’t want it robbing me of all my family time. So being properly prioritised and organised is important to me. 13. Where can people find out more? There’s no downside, and we even give a freebie: Use “ArcLabAdrianTan” in the Promo code field and your 1st Nano Learning module is subscription-free. Forever. Please email me at [email protected], and connect on Linkedin.